Published: November 21, 2018 17:55 Pratyush Sarup, Special to tabloid! A new addition to the cultural hub of the region, Jameel Arts Centre opened its doors to the public with a diverse set of exhibitions and programmes featuring more than 40 artists. 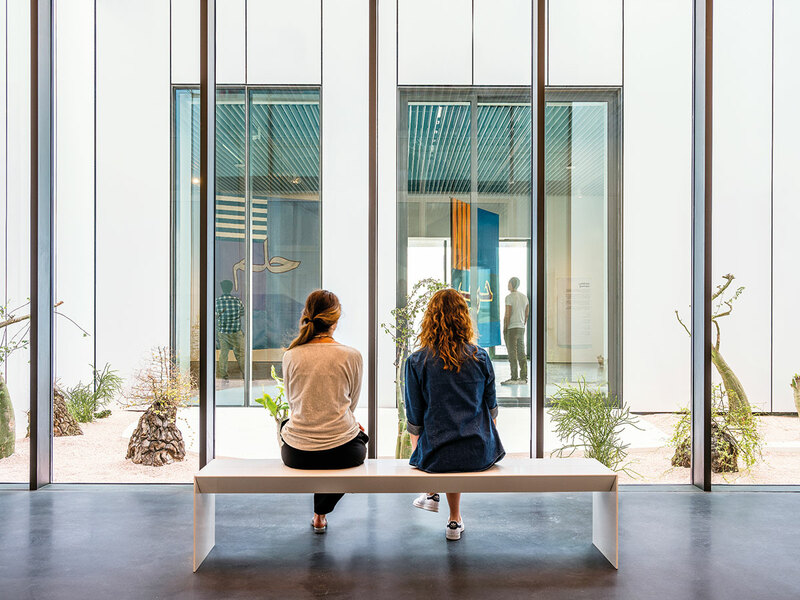 This new innovative cultural hub hosts 10 new gallery spaces and the Gulf’s first open access arts library among many other features such as commissioned gardens and event spaces. Here are five of the must-see exhibits and spaces within the centre, curated specifically for its opening earlier this month. A one-of-a-kind exhibition bound to appeal to visitors of all ages regardless of their knowledge or interest in the arts, ‘Crude’ brings together 17 artists and collectives from the region and beyond to explore oil as an agent of social, cultural and economic transformation across the Middle East and North Africa. A trigger of misguided colonial adventures, wars, coups, a catalyst of nation building and a cause of terrible ecological disasters, the attendants and industries of oil have produced a spectrum of representations encompassing architectures, infrastructures, documents, records, plans, photographs, images and artefacts that document the complex history of the industry. 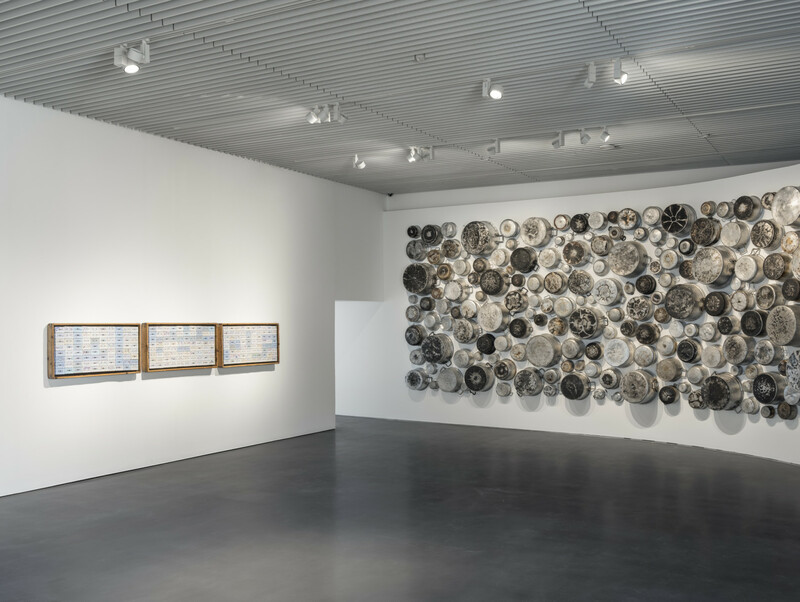 The works featured in this exhibition are by contemporary artists who engage with the historical material buried in various national, corporate and media archives. They narrate an alternative, intermittent telling of the history of the region, reflecting on the technologies and materials oil has enabled as well as the sociological, cultural and environmental effects across the region. Alongside the centre’s seven gardens designed by Anouk Vogel is a plot reserved for artists to cultivate and experiment in, commissioned annually by the centre. Instead of an old school planted garden, Shaikha Al Mazrou draws on regular themes in her practice to construct a light-filled, segmented greenhouse over the plot. 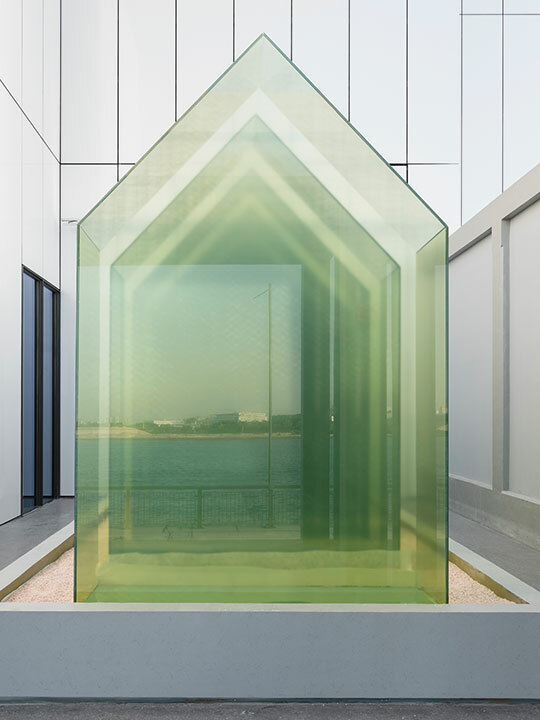 The large-scale structure plays on dichotomies of interior/exterior, man-made/natural, creation/destruction, containment/constriction, and transition/reflection while the absence of vegetation is reflected in the colour and form of the glass. An awe-inspiring, Instagram-worthy moment for all visitors, and commissioned specially for the opening of the Jameel Arts Centre, ‘Departure’ is an immersive installation by Japanese artist Chiharu Shiota, exploring the ideas of displacement, time and the entanglements of life. 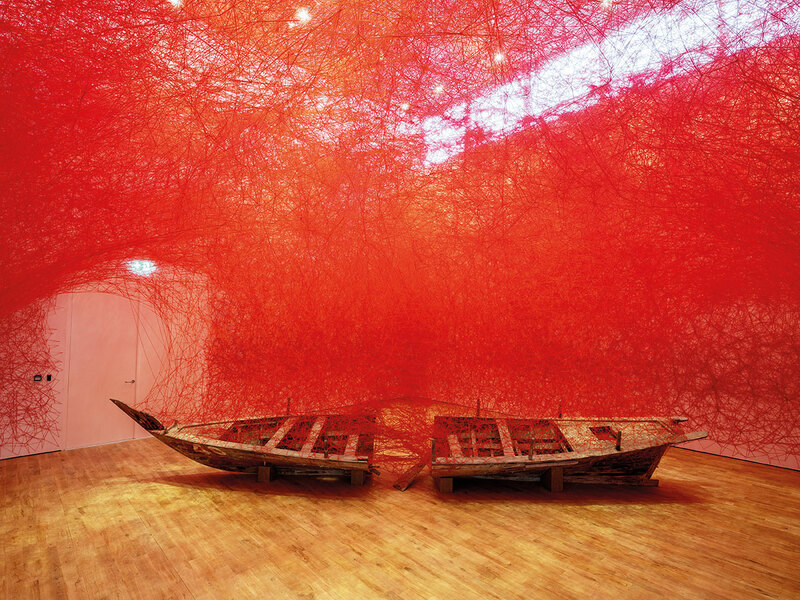 Utilising a large quantity of yarn, Shiota creates immersive web-like structures that take over entire rooms. Building on her experience growing up in Japan and moving to Berlin in the 1990s, her work often touches on the notion of travel, belonging and the complexity of the human condition. 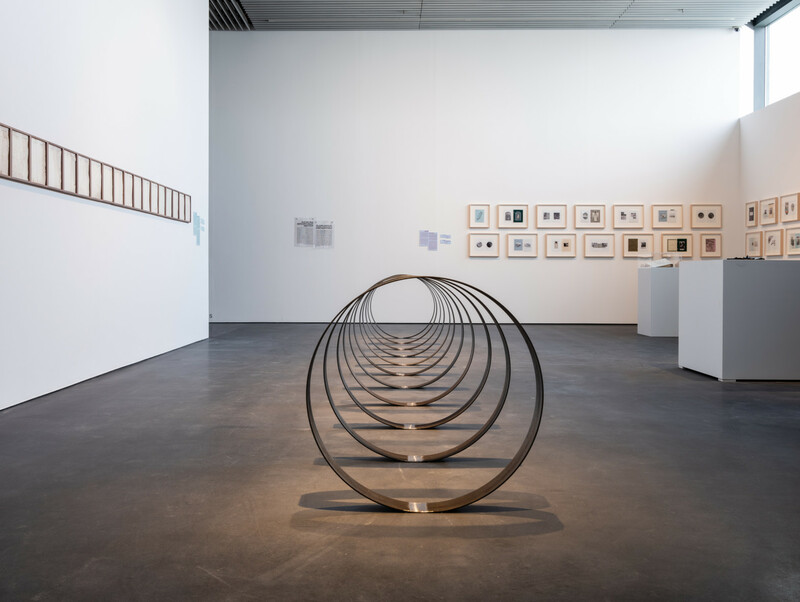 In this particular installation, Chiharu works with traditional abra, referencing the history of the Dubai Creek and the city’s identity as a meeting point of people, goods and ideas. Jameel Library is an open-access research centre, featuring a bilingual collection of nearly 3,000 books, journals, catalogues and more, sourced through Art Jameel’s extensive network of academic and cultural organisations. Free and open to all, the library will be the site of knowledge-generating programmes including talks, research projects, symposia and reading groups intended for a wide ranging audience of students, artists, researchers, writers, professionals and ‘the curious’. With an Online Public Access Catalog (OPAC) that can be searched entirely online, Jameel Library is designed for both a local and global audience. An integral part of the building and its tranquillity, the courtyard gardens offer visitors an opportunity to reset, relax and repose. The gardens reflect 7 desert biomes and have 33 varieties of plants — some aged up to 300 years old. 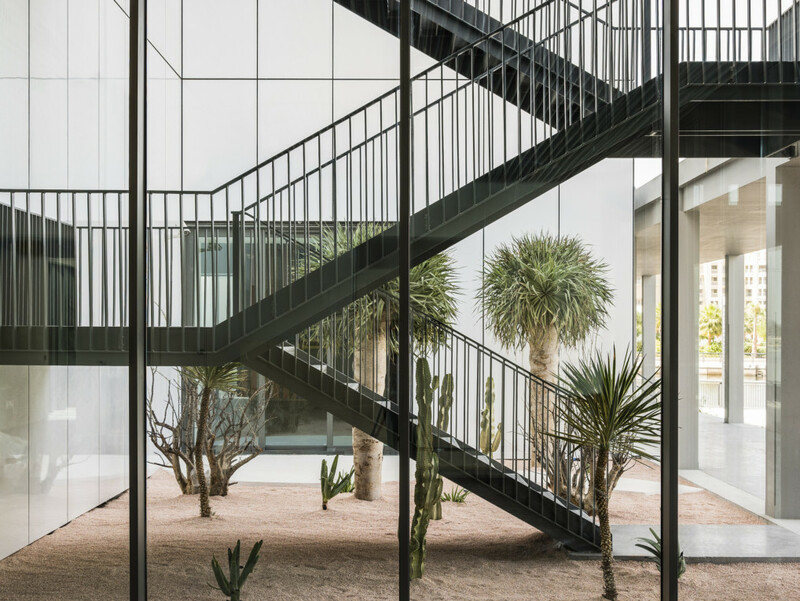 The courtyard blends seamlessly with the architecture of the building, and is designed by UK-based architectural practice Serie Architects to offer ‘collapsed’ (or layered) views.